How to get form to show as a whole form? Hi, I am playing around with you forms but when I embed into my website I only get one question at a time. Can you tell me how I can show all the questions in one go? 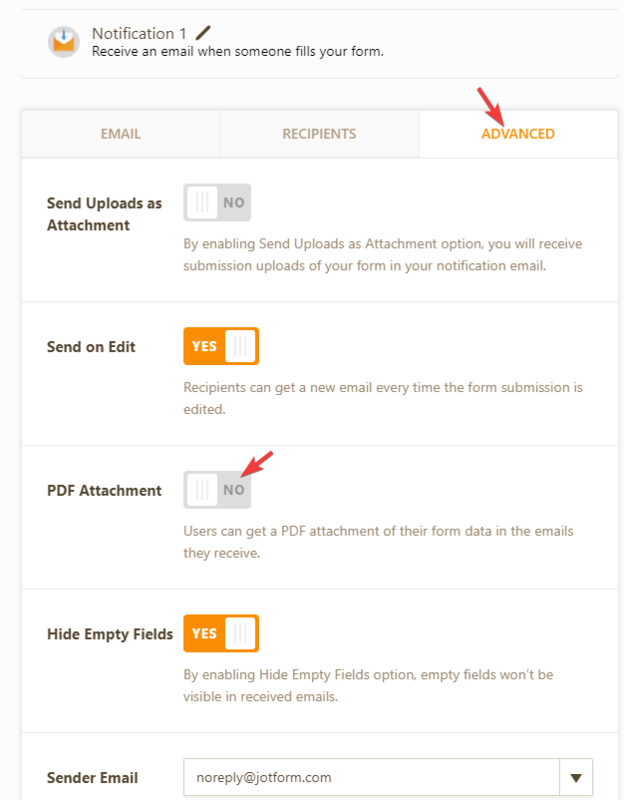 I also want the the submitted form via presented as a form so the it can be printed and kept. 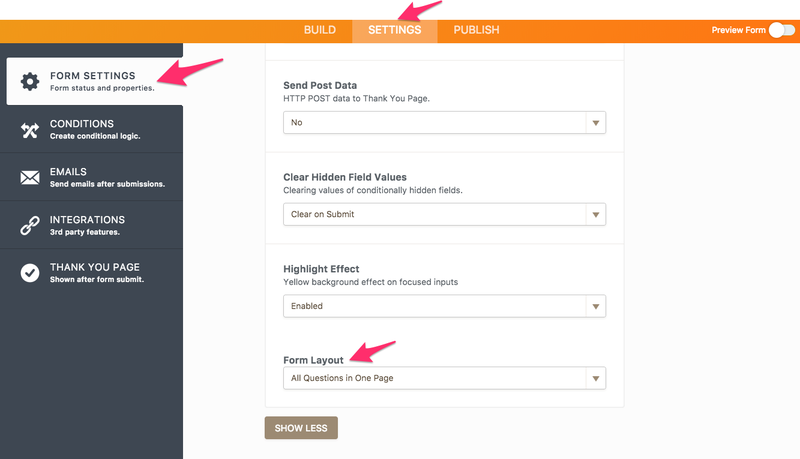 You should change the Form Layout to the "All Questions in One Page"
Thanks that works for embedding in the website but what about when the data that's been provided is emailed? I need to be able to print it in the form format. 1. Go to your form settings then click the "EMAILS" tab. 2. Click the edit logo in NOTIFICATION 1. 3. Go to "ADVANCED" tab and turn ON "PDF Attachment"